The last 6 weeks have been an adventure! I had my latest follow-up appointment with Dr. Reath this week. He said I am doing great and gave me the all-clear to return to normal activities as long as I am in no pain or discomfort. I am to let pain be my guide! The muscle repair part of my surgery is going to hold me back from long stretches of walking and activity for now. The upper part of my abdomen is still uncomfortable in many situations. In addition, my skin from top to bottom (the scar) is still very tight and so I fatigue easily because I end up hunching over after a while. I do hope to head back to the gym soon and see if I can walk on the treadmill for any length of time. I'm going to wait a bit longer to lift weights. Here are some pictures to give you an idea of the changes in my abdomen. These are before surgery, 3 weeks post-op and 6 weeks post-op. The doctor removed 2 lbs. of skin and 2 lbs. of fat during the procedure. There is not a huge difference between the 3 & 6 week pictures, but there is less swelling. 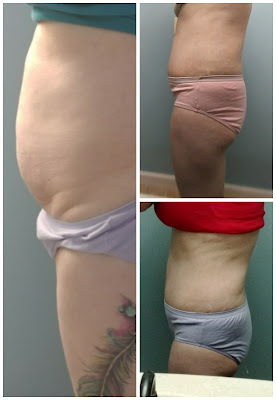 Dr. Reath says I am still swollen and won't have an idea of my final result until I'm 6 months post-op and it will take ANOTHER 6 months for the final result to be seen. Yes, it takes 12 months for all of the swelling to go away! I wear some form of compression on my belly 24/7 still. Dr. Reath says that I don't have to wear any, but I am to decide when it feels ok to remove all compression. Until my muscle repair is totally healed up, it feels better to wear a spanx during the day and my binder while sleeping. The compression helps with pain while the skin/fat layer is trying to mesh with the muscle layer again. 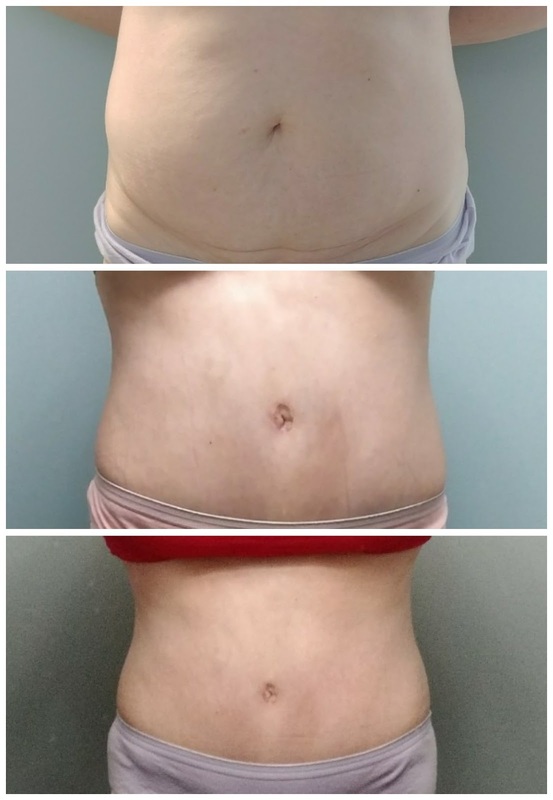 I had a drainless lipoabdominoplasty with muscle repair. The main reason I did this is because it didn't seem that any amount of exercise was working on this stubborn area. It turns out that my muscle separation was "moderate" which means there were 3-4 finger widths of space between them! No wonder crunches couldn't tone that area! Because I have insulin resistance and PCOS (polycystic ovarian syndrome) as well as hypothyroidism, losing weight is difficult for me. I was tired of looking at the person in the mirror because she didn't match who I saw in my head. Trying on clothes was an exercise in futility some days and I would come home frustrated and feeling fat. Here is a graphic showing what I had done, except that I did not have the vertical incision and I did have liposuction to my abdomen and sides before he repaired the muscles. This is me the day of my 6 week post op appointment and I feel so good about myself! 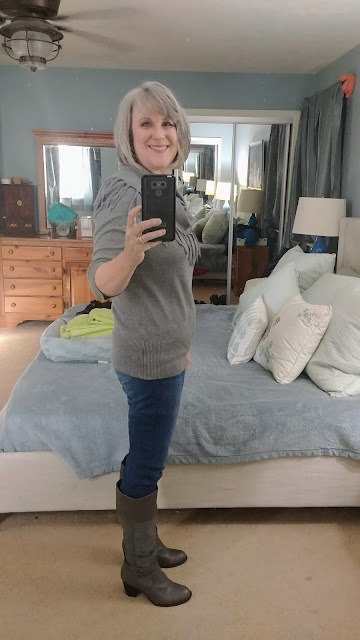 I am 5'4" and 148 lbs. currently. I am so happy that I did this for myself. My only regret is that I didn't do it sooner, but there was always something else to spend money on, especially paying for the kids' college expenses. Jim and I work on a cash-only basis, so it takes time to save up for things sometimes. However, this year, Jim decided he didn't want me to wait any longer. I did pay cash for my surgery even though it took some money out of our emergency fund. 2018 will be all about putting that money back! Doing this is motivating! 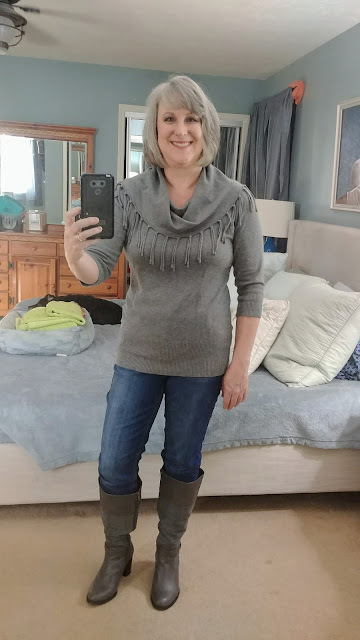 I turn 50 in a little over a year (January 2019) and I have this goal to be "fit by 50." I want to be toned and strong ... my weight doesn't matter as long as I'm in better condition that I am now. I want to be able to hike for a few hours on a Saturday afternoon with Jim. We have lots and lots of great trails in my area since I live near the Appalachian Trail. I like to run on the treadmill and some day, when I am healed enough, I will be able to run without my belly jiggling. And, who knows? I may even purchase my first bikini next summer! I know there is a stigma around plastic surgery. Many people think it is the easy way out, but anyone who has gone through this surgery will tell you that the recovery is ANYTHING but easy! Having a tummy tuck has helped me to finally be happy with my body even though it is nowhere near perfect. There is still work to be done. I want to help take that stigma away ... women shouldn't feel that they have to do this surgery in secret. So I am putting my story out there in the hopes that others who are considering plastic surgery will remain true to themselves and do what makes them feel better. One final note: I must say that I HIGHLY recommend Dr. Reath and his staff. They are truly caring and want you to look your best. Dr. Reath is easy to talk to, listens to you and answers any questions that you have about your procedure. If you are near the Knoxville, TN area, look him up and schedule your consult! If you have any questions about my surgery, feel free to comment here and I will be happy to answer your questions!